In this episode, I interview one of the co-founders of Moros Merch, Gabril Garai, a Muslim fashion company, about the importance and significance of art in the Muslim community. 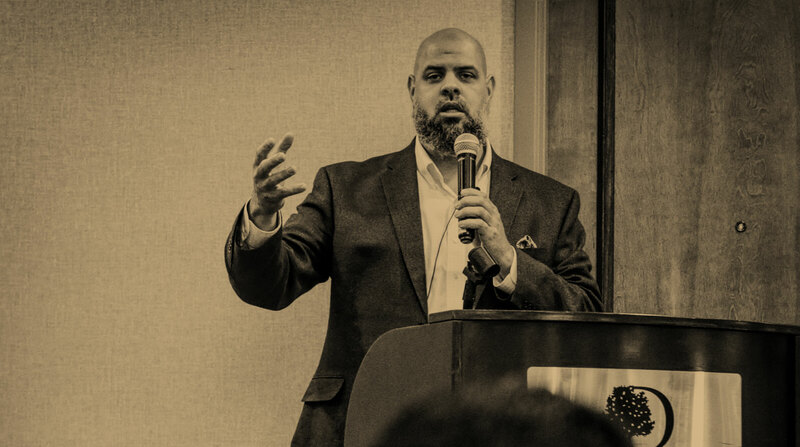 In this episode, I foster an important conversation about the future of Islam in America, particularly as it relates to Blackamerica, with Dr. Abdullah bin Hamid Ali, assistant professor of Islamic law and Prophetic Tradition at Zaytuna College in Berkeley, California, and Malik Shaw, author of The Green School: A Natural Approach To Educating Children and the co-Founder and executive director of Midtown Mosque, in Memphis. A khutbah I delivered on January 4th, 2019. Discussing an important difference in how we approach our worship, our life, and our Islam. One of the most common and detrimental mistakes I see people make when it comes to religion is having a results-based versus process-based approach to worshiping and living as a believer. The fallout of having a results-based religious practice and lifestyle, particularly when the expected results are a certain set of emotions (happy, elated, euphoric, etc.) is that (1) if we happen to be granted such a state then our tendency is to fetishize whatever we used to get to that “state”: dhikr beads, a particular wird or litany, a certain place of worship, or quite often a particular teacher, living or dead. Of course the more obvious negative complications can result in a downturn in faith, being frustrated, and even the loss of faith when I particular fetish fails to deliver “its promise”. As I mentioned, results based-practices inevitably will require some kind of fetish. By fetish I do not mean the popular notion of a curious or even deviant obsession (quite often sexual in the modern context) with a particular thing or object. Instead, I am referring to an older and more original notion of an item having magical or mysterious properties. In many cultures, especially shamanistic cultures, a priest might believe a particular object may even hold a deity. It was also understood in the Middle Ages to imply the use of sorcery (for instance, the Portuguese term, “feiticeria”, meaning “sorcery” or “witchcraft”). In the end, results based-religious practices are always guaranteed to fail, letting us down because they are ill-suited to the needs of actual human beings who, throughout their lifetime, will experience a wide spectrum of emotions, all the way from joy to grieve and many others in between. Results-based practices often give off the glow of spirituality but lack the depth and substance to deliver on their promises. Process based practices, however, require no fetishes and no artifacts. Then really require the heart, mind, and soul of a believer. Consider even the statement of the Prophet when he said, “the entirety of the Earth has been made a place of worship”.